Just wanted to introduce myself and say Hello. My name is Dave Oligee and I've been bowhunting since I was 10 yrs.old. Over the past 30 yrs it has been my passion and my living. Other than my relationship with God and my family, nothing means more. I am not a "give a moment of silence for the animal" kinda hunter. I am a straight up killer and that's how God made me. My "moment of silence" is thanks to the Creator not the creation. 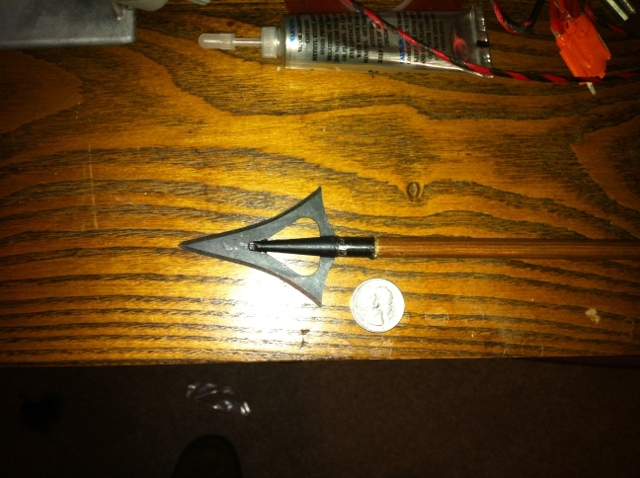 I have been fortunate Enuff to purchase Simmons Broadheads from Mr. Jerry,my mentor. I've owned the biz for four years now and have truly been blessed by it. Simmons are now 100% made in the USA by me. We continue to add new Broadheads and products and improve existing ones . Check m out at simmonssharks.com . Welcome to the site Dave. I've heard really good things about your heads. Since I'm shooting trad this year I'll be placing an order for some landsharks real soon. Glad you made it over here, Dave. Enjoy the forum! Welcome to the forum Dave. I've been shooting Landsharks for about 12 years and have no plans on ever switching. You have a premier product. Great to have you here! Great to talk with you today Dave. God bless you sir and thank you for joining us. Best broadheads on the planet! Good to see you here Dave. Just picked up 2 packs of the 165 grain Tree Sharks and a sharpener from Pat Carter. Man, am I impressed by the looks of these heads. Although they are destroying my broadhead target! :-) I can't wait to see what they do to a Whitetail or a hog. Launching them from a 70" Northern Mist Classic longbow, 83@28. They are mounted to a 30" Surewood shaft and a 100 grain woody weight. Total arrow weight 855-860 grains. Dave great job and continued success - The Large Sharks are in a class by themselves - anyone serious about 100% recovery needs to start here. These are the heads I have been shooting for about 10 years with amazing results. I hear or see the animal go down 80% of the time - for the other 20% there is a good steady 'old school' blood trail. Never a worry about recovery and enjoying the woodmans work of blood trailing. Welcome to the forum. Talked to you in the phone before, your customer service is number one, you truely care about the products you put out, I have Simmons interceptors in my quiver that range from over 25 yrs old to ones I've purched this year, they all sharpen and fly great, thanks for buying the company and continuing to produce these heads. Dave I hear that your head are awesome and in fact Rick Welch recommends them to students at his school from what I understand. They look like they will open an animal up! Will have to give them a try one day. Glad to have you. Started using them a couple yrs ago best head I've used in 50yrs. What is the lightest screw on the head comes in? I currently shoot 125 grain heads. thanks. Simmons makes a 100gr screw in head called the Mako. They also offer the SB-10 Land Shark in 100, 115 and 125gr options. And the SB-20 Land Shark in 135 and 165 gr options.